Auris en Oisans resort opening date will soon be available. 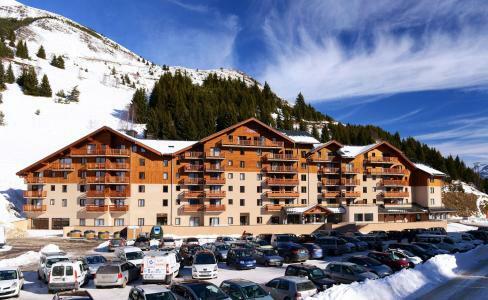 Auris en Oisant is situated at an altitude of 1600m on the south facing side of the 2 Alpes. It offers long periods of sunshine and a remarkable view over the Meije and the Ecrins mountains. Walking with skis on is possible: 80% of the amenities gives access to the pistes and 20% is located less than 300m away. The skiing area is varied and adapted for all levels. Auris en Oisans, Alps offers 20 pistes as well as the pistes of Alpe d'Huez Grand Domaine (Auris, Alpe d'Huez, Oz en Oisans, Vaujany, Villard Reculas) with 240km of downhill pistes. To help you get your stay to Auris en Oisans organized , book your accommodation , your skipasses and your ski equipment all together.